14 pages including intro page and back summary. Size: 14" x 14"
" Zobel Days. In place of a thousand words, a single symbol speaks. Breaking silence and boundary, symbols evoke feelings of connectedness to one another, and to ourselves; sharing ideas or emotions, telling a story or two. 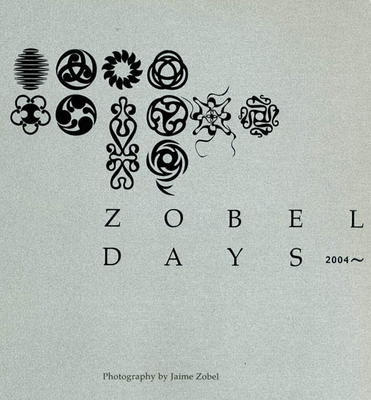 Through Zobel Days, Jaime Zobel shars his artistry in the creation as well as experience of understanding and appreciating the role of symbols in everyday life better-lived. Flipping through this thoughtfully -crafted collection of color and shape, discover in a swirl, curl or wave how, very much like one's daily encounters with the many mysteries of life, there are as many meanings as there are minds that wonder."